Uh-oh! One of my fav products at Costco has the dreaded * next to it, which means Costco will stop carrying it soon. 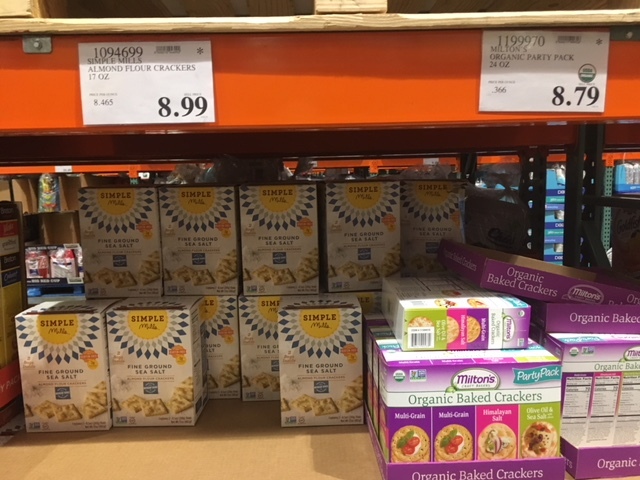 Every trip I take to Costco I stock up on Simple Mills crackers, as they are the only gluten-free cracker that taste like a cracker, and Costco has the cheapest price. If you love this brand like I do, stock up on your next visit if the * is at your store also, as they will stop carrying it. Also, Milton’s organic baked crackers also have the * on the sign, so be sure to stock up on these if you’re a fan as well!